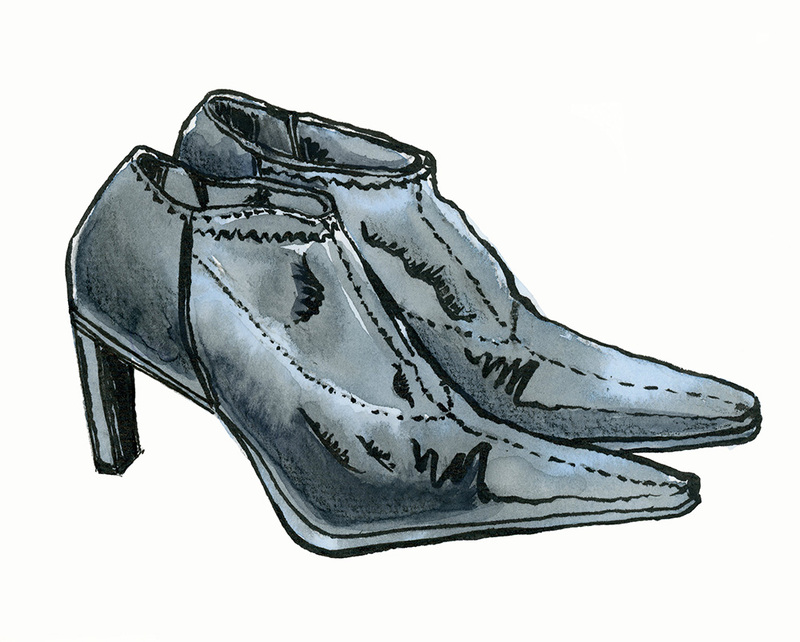 I recently pulled these old black ankle boots out of storage to wear to a wedding reception. It wasn't until the end of the evening that I noticed that the vinyl was peeling off of the top of them. Back at home I had a good look at them to see how bad they looked and if it was possible, or even worth it, to try to salvage them. Well, they were all man made materials and were picked up at a bargain price from Winners about 10 years ago (I checked the date with my husband). In to the trash they go. They did serve me well back in my corporate contract days, though. So, money well spent.